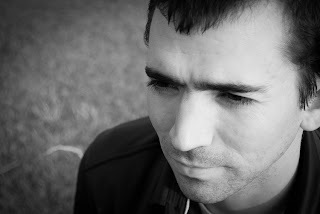 Editor's note: I'd like to again introduce David for this week's guest post, part 2 of "What to do if You're in a Car Accident in Japan," a continuation from two weeks ago. Before I continue with that story, let’s rewind a couple of weeks. Now, some of you might be wondering why I would have to take a beginner’s driving class despite the fact I have had a driver’s license for over 13 years. Well, if you remember back to when you got your Japanese license, there’s a requirement that says you need to have your license for 90 days in your home country before coming to Japan. What they don’t mention is that if your license also doesn’t show you’ve had it for longer than a year then you are considered a beginner driver in Japan. 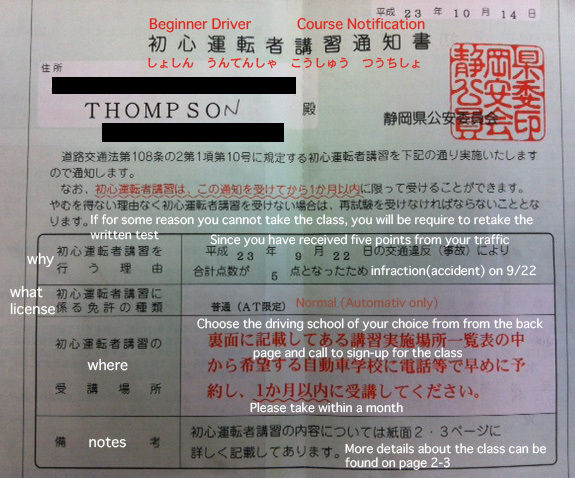 Since I had renewed my license 10 months before coming to Japan and U.S. licenses typically don’t have the issue date of your very first license on them, I didn't have documentation that showed I had driven for over a year. You can use expired licenses as proof, but I stupidly didn’t bring them with me and wasn't able to locate them back in the US. At first I thought, it’s no big deal. This beginning class is probably only a couple of hours and I could take it in the evening. So I let time go by until a week and a half before the deadline I started calling various locations printed on the back of the pamphlet. I found out the beginner’s class was eight hours long and most places only offered it once a week on a weekday (meaning I would have to take leave from work). On top of that, the only place nearby that offered the class was on a day that also happened to be my busiest day teaching classes… Luckily, I was able to rearrange classes with my teachers but it was an inconvenience. Oh yeah, and did I mention it cost 16,000 yen. My last post on this series will be about this "fun" class and some useful tips and facts I was able to take away from it. Have you had a similar experience? Please share it with us in the comments! David Thompson is currently in his fifth and final year on the JET Program, teaching English at a technical high school. When he's not busy trying to convince teenage boys to pay attention in class, he helps coach baseball at the school (officially), helps Ashley with research and checking Japanese for accuracy, and takes care of baby Ai-chan. He's currently looking for a new, full-time career opportunity in Japan starting in August/September, particularly if it involves working with youth and/or non-profit organizations. You can check out his credentials and connect with him on LinkedIn. I had a car accident in Japan. It happened in during the year when foreigners were just being required to obtain a Japanese driver's license. 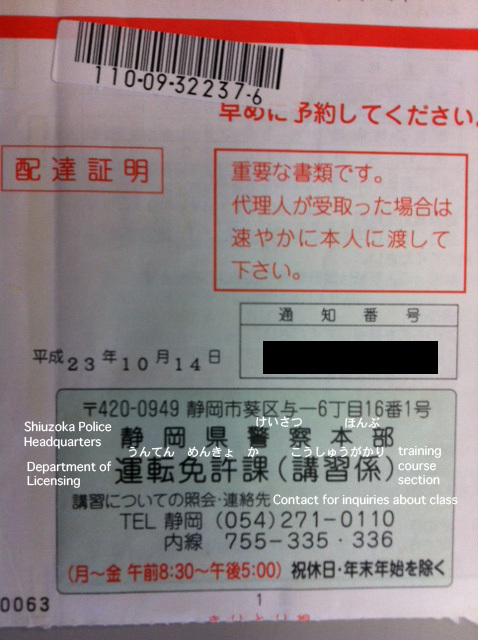 My international driving permit had not expired, but the date listed was more than a year since I had returned back to Japan. (I had been on the JET Program for 3 years then returned privately to teach). Long story short, I had to spend long hours at the police station giving statements that said I wasn't aware that the year requirement started when I stepped foot in Japan, and not on my international perrmit as I had believed. (All in Japanese) The last statement was given in Japanese to the district proscecutor. This was a very stressful situation that I wish on no one. My insurance agent was great and my car was fixed. And on my 3rd attempt, I passed the driving test.